Are you doing the summer read-along? Did you start Inferno: The World At War this past week? I realized I didn’t clarify how many chapters of World War II history I’ll be reading each week in the introductory blog post (sorry!). Just two chapters each week. We should probably note that this book is not suitable for children, even if they are voracious readers. If you’re looking for World War II history books for children, please check out the booklist on that era’s resource page. Don’t skip the introductions in books! 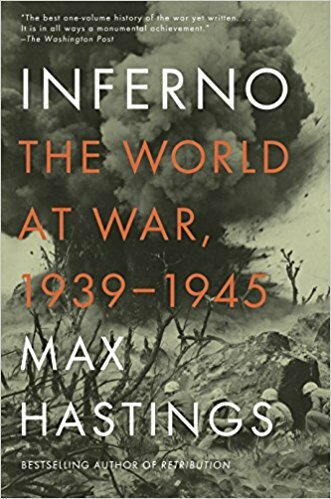 Inferno‘s is comparatively short and helps explain the perspective and scope of this history books. I knew we’d picked a good one when the author explained: “My story emphasizes bottom-up views and experiences, the voices of little people rather than big ones.” It goes right along with my premise that history is about real, ordinary people, and it’s great to be reading a book that isn’t just about the colossal figures and military commanders during World War II. 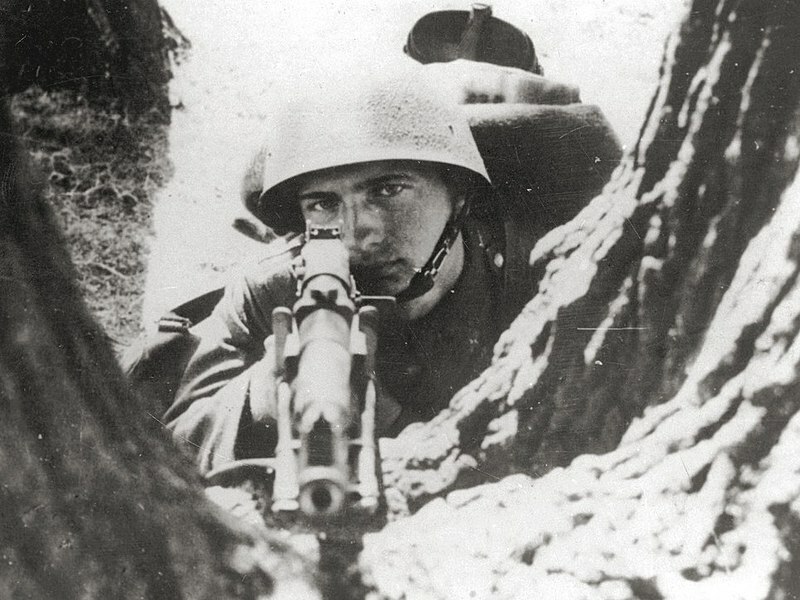 On September 1, 1939, Nazi tanks, planes, and infantry crossed the border into Poland. On September 3, 1939, Britain and France declared war against German but did little to actually help Poland, betraying previous agreements. Russian – having a previously signed an agreement with Nazi Germany – invaded Poland from the east. The Polish Army resisted bravely but was overrun. Russians slaughtered Polish captives while Nazis began rounding up Polish Jews. Poland was the only European country to have no collaborators with the Nazis, and many citizens fled the country, eventually fighting with the Allies. Britain and France struggled to mobilize for war and the majority of their leaders and citizens were not keen on entering the struggle at all. Britain, France, and Germany all needed to strengthen their militaries and supply systems. In Britain and France, morale support for the conflict was at an all-time low; the economic depression and memories of World War I were contributing factors. In October 1939, Stalin (Russia) decided to invade Finland and capture the nickel mines. 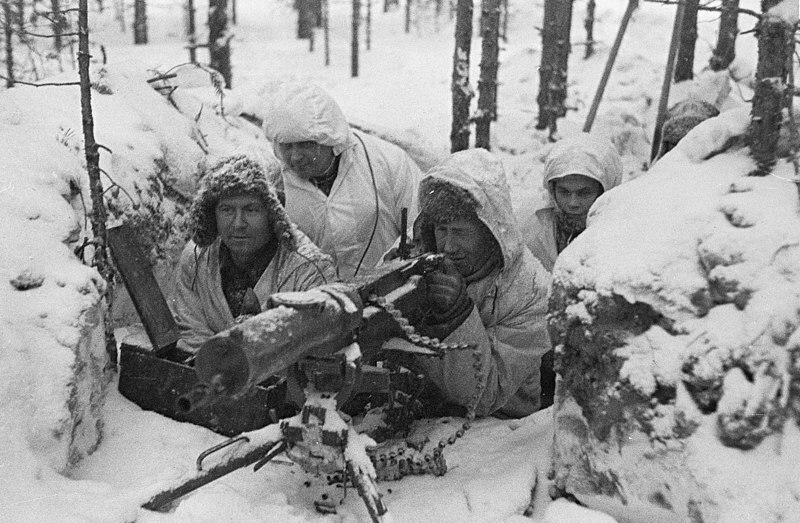 Finnish troops put up a desperate and successful defense while that countries civilians accepted relocation and sacrifice with generally high morale; Britain and France gave nominal or useless aid during the Winter War. In the ceasefire, Stalin claimed only 10% of Finland and did not occupy the rest of the country; the conflict cost at minimum 127,000 Russian lives and 48,243 Finnish lives. When the Allies failed to help Finland, the country turned to Hitler and Nazi German for assistance in re-arming. The winter’s “Phony War” phase ended in April 1940 as German headed for Norway and the British fleet pondered and deployed for a move. The sections examining Britain and France’s lack of enthusiasm for the conflict and half-hearted mobilization stand in stark contrast to the attitudes later in the war. I can’t help wondering what would have happened if Britain and France had mobilized quickly and attacked Germany during the autumn and winter when Hitler was struggling with internal economic conflict, supply issues, and weaponry production. I’d always wondered how the Germans convinced their countrymen that a Polish attack prompted the invasion. Come to find out, a German unit with some condemned prisoners actually staged an attack dressed in Polish uniforms. The prisoners were killed and images and reports of this scene were broadcast through the Nazi communications and propaganda. What quotes stood out to you in the chapters? What new ideas or considerations do you have after reading the first two chapters or the chapter notes? Leave a comment and let the “book club discussion” begin! Well I read chap 1 & 2. I did not know Poland was so poor. You usually don’t hear to much about Finland. Now that I am able to leave a comment and I know it works I will say some more. I did not know that Poland was so poor and could not afford a modern army. I had always thought they were old fashioned and behind the times. Like sending cavalry against panzers. Their biggest problems were they had allies that did not want to fight, maybe to scared to flight. The second big problem they had was rats for neighbors. The Soviets waiting until the Poles were being savaged by the Germans and then rushing in to get their share is not often mentioned. Finland is not often mentioned but they put up a good fight against a much larger nation. The Finns were pretty good soldiers but the Soviet army was just to big. Again Finland needed help, wanted help, asked for help but got nothing. The British and French talked about it but did nothing. The Allies were not ready but it turns out the Germans were not ready either. They had a lack out equipment, a lack of men and other problems. It was just that Germany was determined to make war, and the allies used their lack of preparedness as an excuse to do nothing.